Thanks to #kidlitexchange for sharing this ARC for review. 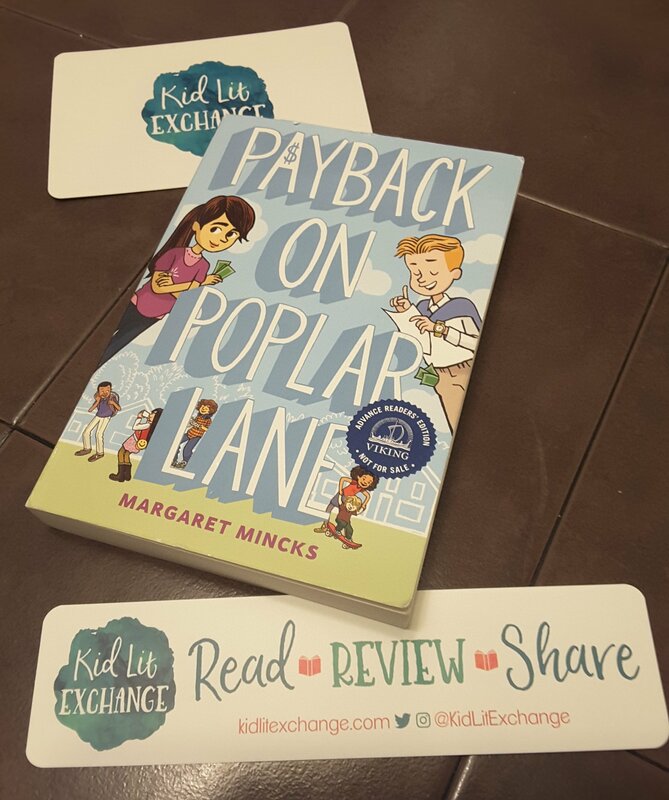 Payback on Poplar Lane by Margaret Mincks. All opinions are my own. 🌟🌟🌟🌟🌟Rachel a shy middle schooler lives next door to Peter Gronkowski a self proclaimed entrepreneur. Peter uses Rachel as an intern without paying her when his father becomes unemployed. However that blows up and Rachel soon becomes his competitor. Both children are discovering themselves as well as good from bad and the value of family and friendships while they try survive life in a cul de sac and middle school. This book is written from a child’s perspective and sometimes the moments of realization seem nonchalant. But it is a great read for ages 9 and up. A way to take business to a whole new level. Review also posted on Instagram @jasonnstacie, Library Thing, Goodreads/StacieBoren, Go Read, and Amazon.